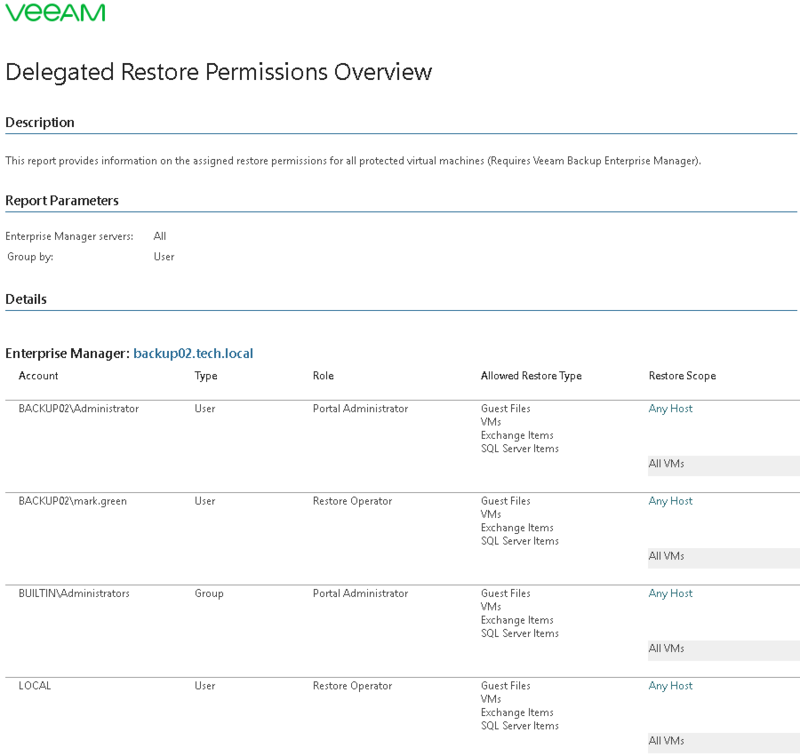 This report analyzes restore permissions configured in Veeam Backup Enterprise Manager. The report returns the list of users who can restore entire VMs, guest OS files and application items via the Veeam Backup Enterprise Manager or Veeam Self Service File Restore portal, and shows what type of data these users can restore according to the effective policies. Auditing of restore permissions manually can be quite a challenge, especially for large environments with dozens of restore operators. This may cause inefficient resource usage and unwarranted or uncoordinated restores. This report allows backup administrators and senior IT management staff to review and adjust restore policies to better address the demands of a dynamic multi-user backup environment. Group by: defines whether data in the report output will be grouped by User or Object.